Saving Forgotten Warriors’ mission statement is “Advocating for the health, safety and wellbeing of our military veterans no matter the era or conflict.” This statement was exactly what Jeremy Hogan described in our interview this week. Jeremy didn’t really set out to start a nonprofit three years ago. Little did he know how his life would change with one decision. Talking with a local convenience store clerk, Jeremy learned she was concerned about a local resident. That resident was also a veteran and Jeremy decided to just stop by and check on a fellow military brother. That brother had many needs, the first being immediate medical attention. Jeremy jumped into action and before he knew it he was a story on the local news. Saving Forgotten Warriors was born, with one man helping his brother in need. Now fast forward three years and Jeremy and his family have a new life. A life of service. He has performed everything from overseeing large home renovation projects to taking out the trash weekly for an elderly veteran. As I spoke with Jeremy two things stuck out to me: his love for his country and for the men and women that like him had given all they had for it. You hear the cliché once a Marine……well I can tell you that is true! I was amazed at all the SFW organization does. The small things. I was aware of the renovation projects done on homes: the money raised to provide transportation for veterans to get to and from the VA hospitals. However, I was not aware of the visits just to check on individuals or trimming the nails of those that can no longer do that for themselves. SFW does it all. I hope everyone will watch our interview this week, so you can hear Jeremy explain what he does and the needs his organization has. The most impressive thing about SFW is the fact it has no paid employees! This organization is run completely by volunteers, so every penny given to it goes to the men and women in need. That is very rare and to be honest, hard to pull off. 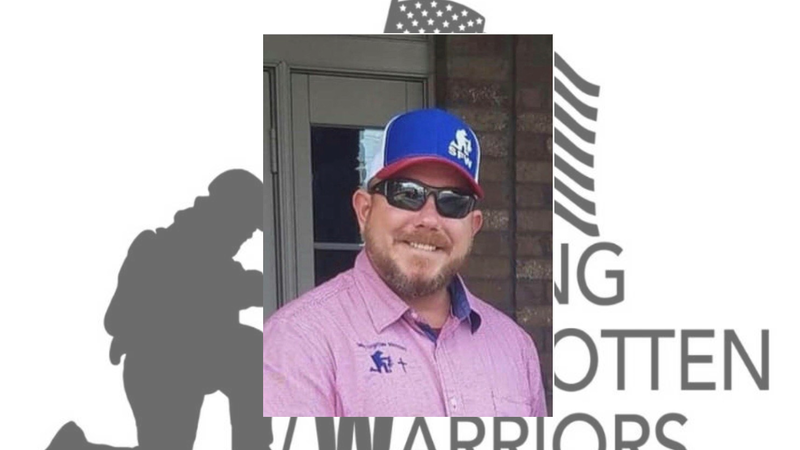 So if you are looking to plug in with an organization that gives all it has to the community, Jeremy and Saving Forgotten Warriors would be worth checking out. I don’t think you will be disappointed. Find our interview at www.Facebook.com/CullmanTribune.